Are you a shadow? 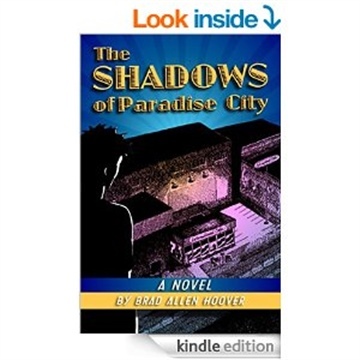 The Shadows of Paradise City follows fifteen-year-old Benjamin as his post-high-school-dropout world unfurls, chronicling his time as a graveyard dishwasher at the campy International Café, his time at the library where he pursues an education and prepares for the high school proficiency exam with eighteen-year-old college dropout Bayer Eitenne’s help, and his time as an unwitting drug runner for a shady cafe patron. Things go bad the night before the exam when Benjamin is robbed of a drug delivery he has stuffed into his pants. As his world closes in around him and the stakes increase, Benjamin must come up with a plan to escape this mess, which threatens not only his future but his life as well. The Shadows of Paradise City humorously explores the nature of education and friendship, but more importantly, chronicles the significant and often ironic events and people who shape our lives.